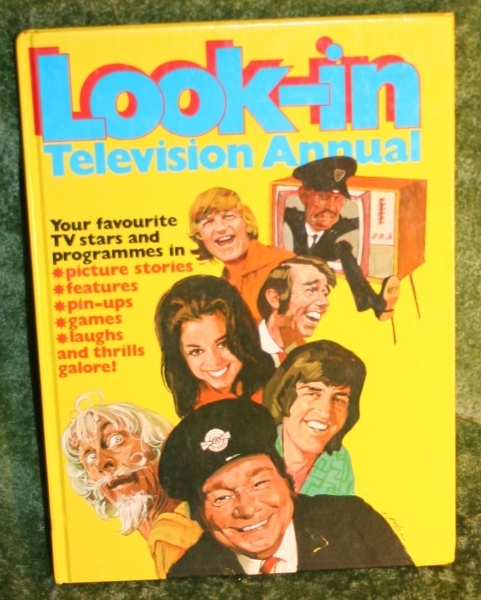 Look In Annual (c) 1972. 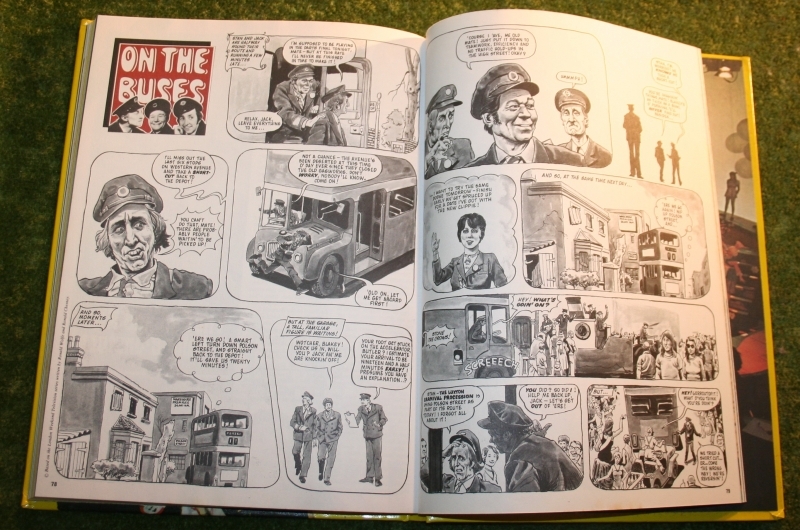 Includes Please Sir, Follyfoot, Catweazle, On the Buses. 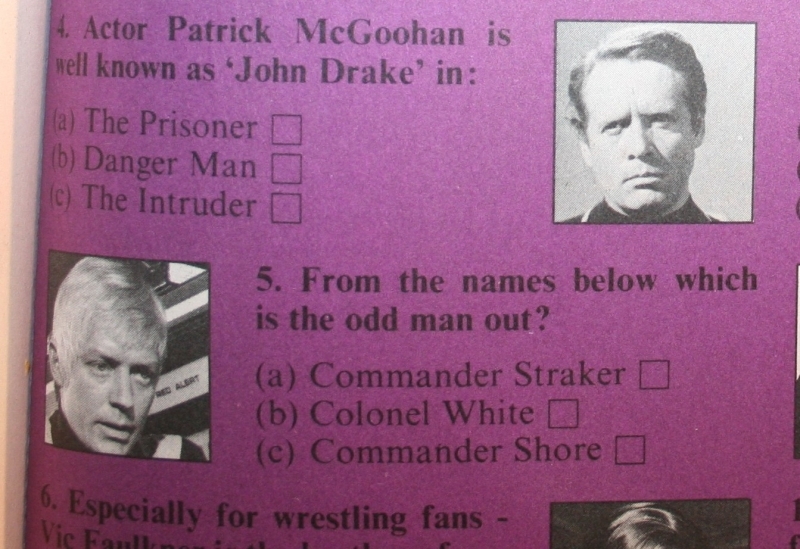 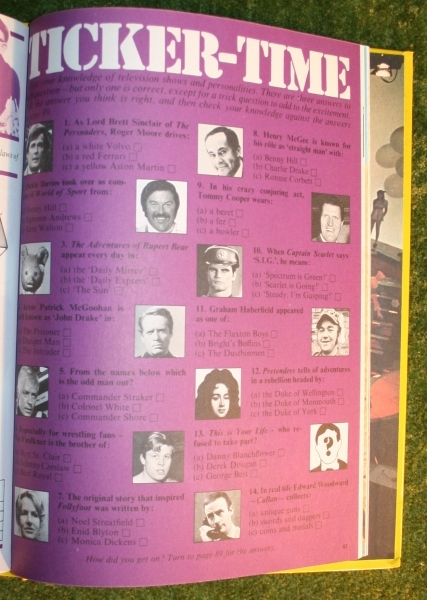 Lots of other TV shows from the period, quiz includes photo’s from Persuaders, Captain Scarlet, Prisoner, U.F.O., Callan.